Forget window-boxes: these cushions by Bluebellgray are so much more chic than those postage stamp sized urban gardens that perch unhappily on your window sill, unloved and unwatered. Bluebellgray is a Scottish textile design company established by Fiona Douglas. 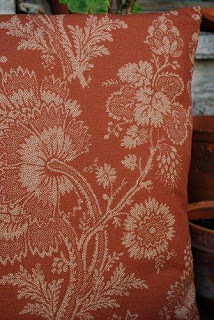 Each design is painted by hand before it is printed onto natural cottons and linens using modern printing technologies which allow the painterly quality of Fiona's designs to be captured. 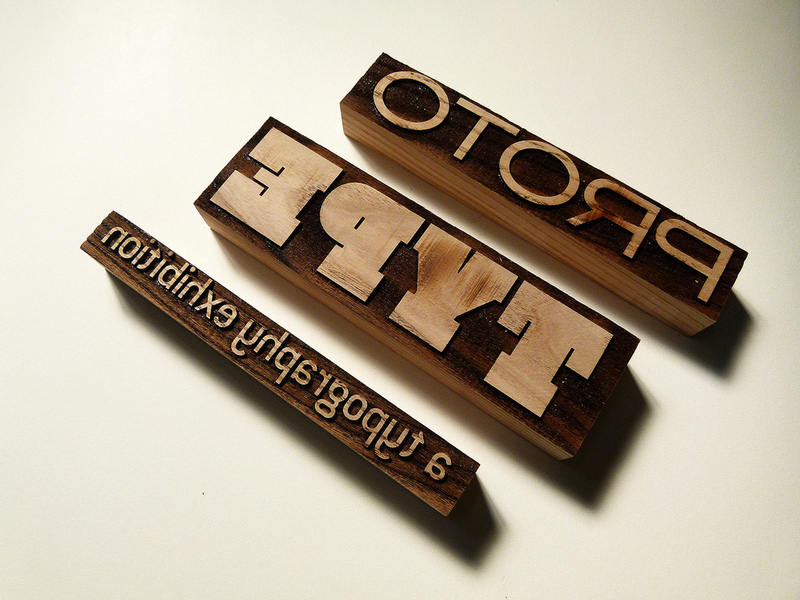 Designs are produced in a limited number, and numbered and signed on the back - so you are buying a work of art. 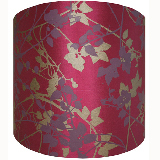 As well as cushions, Fiona designs wallhangings and lampshades, and a fabric collection will be available soon. 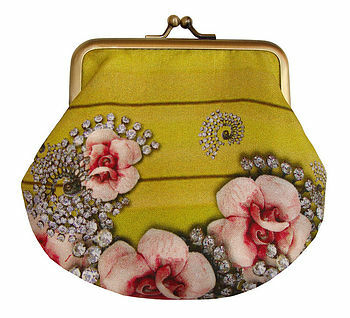 'Sophia & Matt' sell a range of handbags, purses, washbags and other accessories made out of laminated fabric. 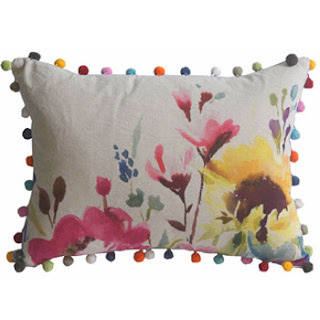 It is the perfect place for a spree, Mrs Osborn style: Sophia and Matt design the fabric, design the bags and accessories, handcut the fabric, and sew some of their range in their Greenwich studio (I love the fact that the little embroidered tag on their products says 'Made in Greenwich'). If you like to dress your girls in Liberty print frocks, you'll love Millie Manu - the range includes dresses, tops and blouses, skirts and shorts and pyjamas for girls aged 18 months to 8 years. 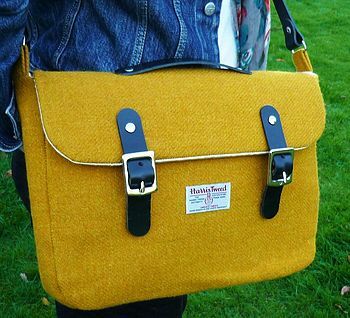 All garments are made in the UK, a fact of which they are rightly proud. This isn't the most arty shot of Owen Barry's leather handbags, but they are arty objects - plush suede and soft leather, in a rainbow of colours. Clara also makes the most exquisite beaded flowers, butterflies and other creatures which are fashioned into necklaces, brooches and earrings - I found these at London Fashion Weekend and the Primrose Hill Designer Fair. Tiny beads create incredible detail, as though these jewels have been painted by a fine artist. 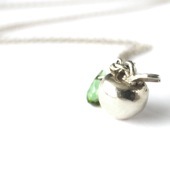 Find more of Clara's beautiful jewellery on her website - the hardest thing will be stopping yourself from buying one of everything. 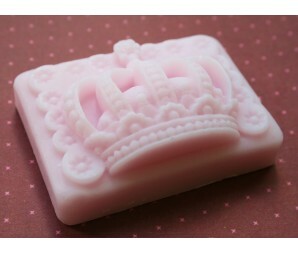 Soap that looks like posh fondants and chocolates made by SoapyChica, available from their Etsy shop. 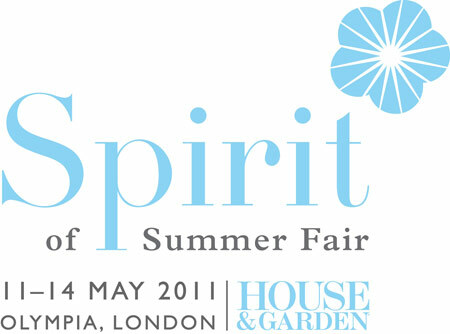 On Thursday last week, I popped along to the Spirit of Summer show at Olympia in West Ken. First of all, admire the beautiful building with its impressive arched roof. Next stop - refreshments...these Creole soda breads made by Global Fusion, the Vegan Creole Bakery were *amazing*. Fantastic flavours and combinations such as mango, and carrot and cherry had people flocking to the stall to sample just one more bit - they have a cake-like texture, but because they are breads, they have around half the amount of fat and sugar found in cakes. 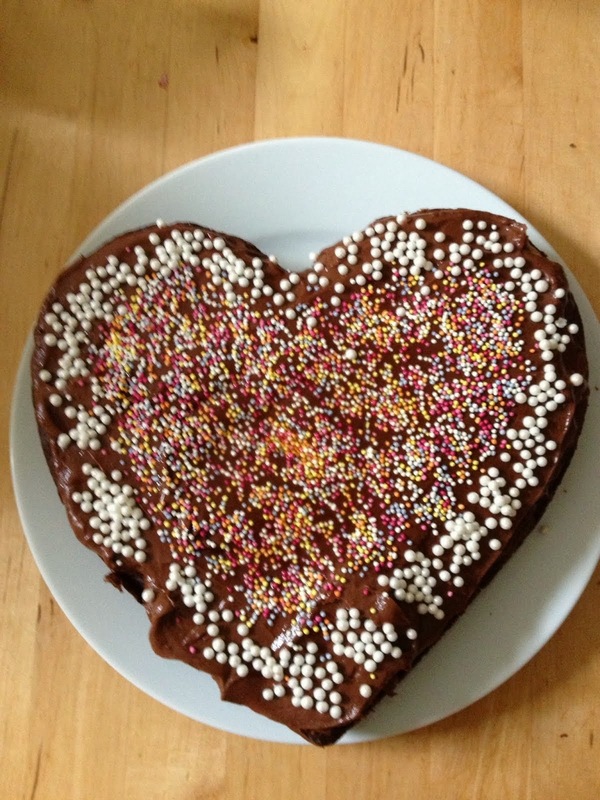 I bought a carrot and ginger bread-cake, which I attacked on the no.10 bus on my way home. Lucky I had a whole loaf to keep me company - the bus crawled back to Oxford Street. Global Fusion sell their delicious goods at various farmer's markets: Stoke Newington, Brixton, Islington, Wanstead, Walthamstow and Wimbledon. 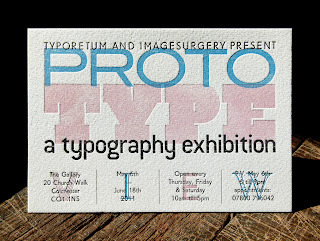 Coming up in the next post will be my pick of the Spirit of Summer show. Cabbages & Frocks, the Saturday market in St Marylebone Parish Church Grounds for food and fashion, made a guest appearance in Primrose Hill this weekend. Kaybelle was there, selling her handmade purses, bags (cost approx £10 for a cosmetic purse) and brooches (which cost between £12.50 and £18). 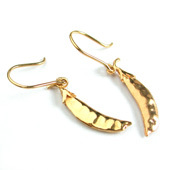 Who cannot resist these pretty jewels by Alex Monroe that are good enough to eat? I love letterpress stationery - for a start it looks like a lot of fun for the designer / letterpress-er to create, and the end products are imaginative and beautiful works of art, using a printing method that has great history and tradition. 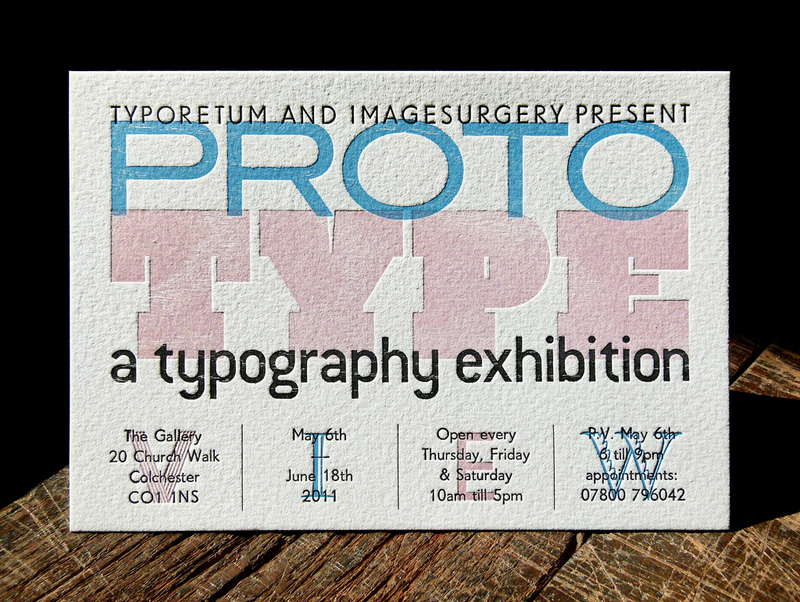 Typoretum, based in Colchester, make a huge range of letterpress stationery. 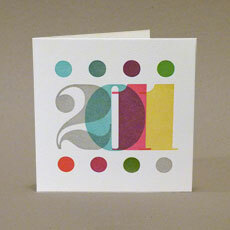 Greetings cards - such as this New Year card - are made using antique wooden and metal letterpress type and vegetable inks printed onto 100 percent cotton fibre. 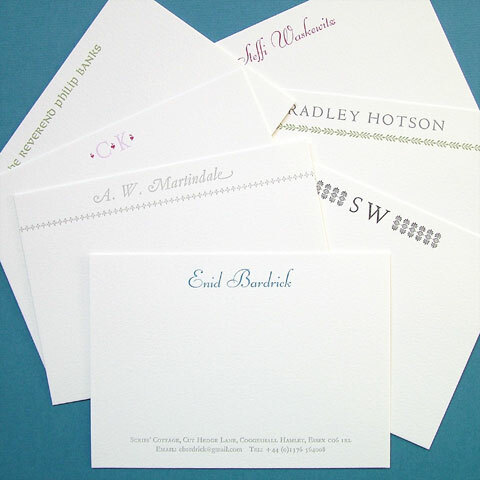 They also make wedding stationery and personalised stationery, such as correspondence cards. Email / texts begone, use these instead. Isn't this a clever idea? found via Tea for Joy, Comfort Station's Barometer Necklace - adjustable pointer, to suit your mood, from stormy to excellent. 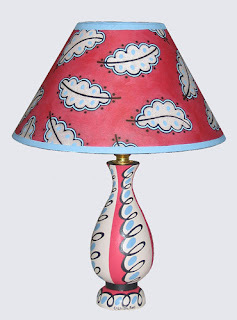 The perfect gift for your weather-obsessed Brit. 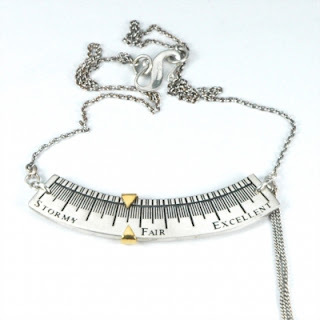 The necklace costs £145, and can be bought online from the Comfort Station website, or from the London store on Cheshire Street, just off Brick Lane. 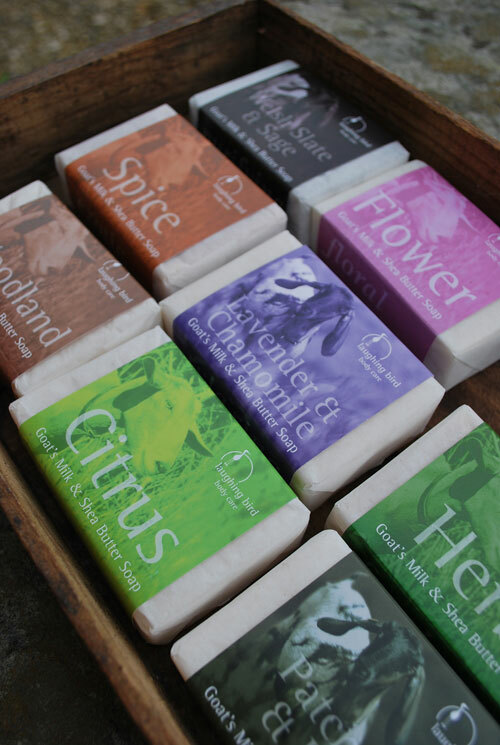 The Bellingham Soap Company makes soaps from pure olive, sustainable palm, soy, castor and coconut oils; organic herbs, butters, spices and essential oils are added to make the different flavours. They do not use parabens, SLS, petrochemicals, artificial colours or fragrances - all the nasty stuff that can cause skin irritation at best, and more serious health problems at worst. 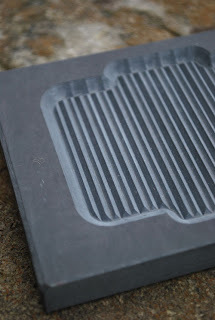 Check out the 'Production' page on their website which shows you how they make their soaps. I'd like a bar of this Frankincense soap, as the smell is truly delicious (although I am not sure what to make of the blurb which recommends this soap for 'mature' skins - am I in that age-bracket yet...?). The soaps are wrapped in handmade papers from a family-run business. This 100g bar costs £4.50 - postage is £2.95 for orders under £30, and free for orders over £30. 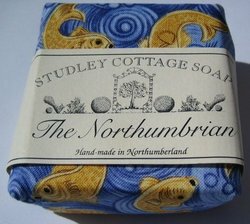 Studley Cottage Soaps are made from primary oils (coconut, olive and palm oil) which are fragranced with essential oils; some soaps have sunflower oil, avocado oil, shea butter, calendula and vitamin E added. No artificial colours or other synthetic materials are used such as parabens and SLS. 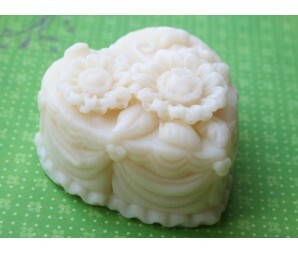 The soaps are wrapped in fabrics that are chosen to reflect the character of the fragrance. 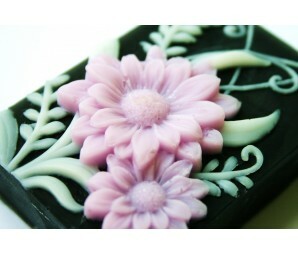 This 100g bar costs £3.75, postage is £2.00 for orders under £14.75, and free for orders over this. 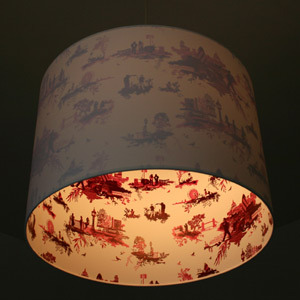 Small lampshade from Timorous Beasties, featuring the fabulous London Toile, £159. 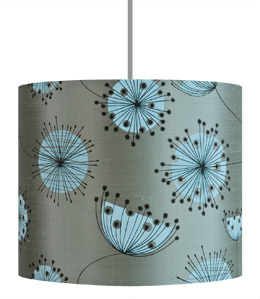 Miss Print Dandelion Mobile lampshade in slate with light blue and black, from £82 to £168, depending on size. OK, I'm getting withdrawal symptons - time for more handbags... take a look at this one, the Hardwick by Milo & Saint. 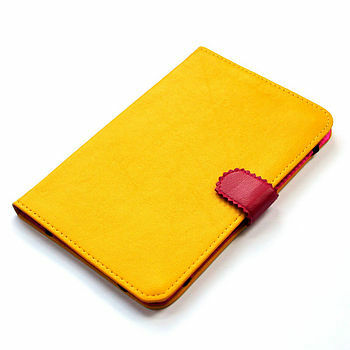 Joy of joys, instead of a zip it has a snap-closure like an old fashioned frame purse. 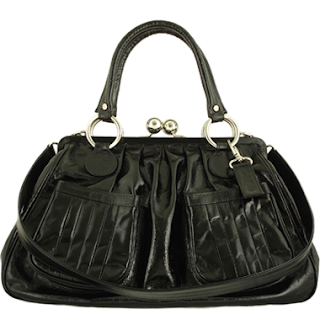 What's more it has two sorts of strap: one 'cross-body' strap for those 'hands free' moments, and also straps to carry the bag on the shoulder. There are several pockets and compartments to keep you organised, plus it has great detailing - it has boxed pleating used on the front pockets, and a very pretty lining. 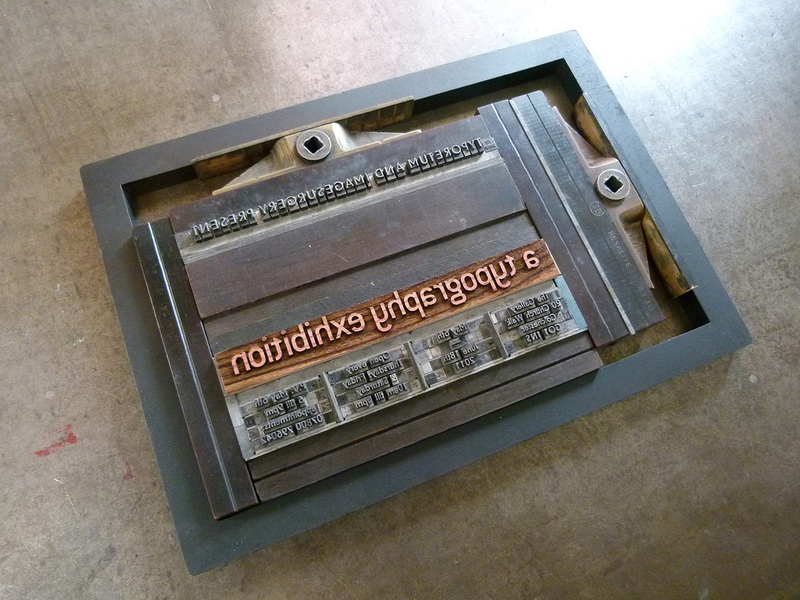 Wow, look at that, v smart in jet black. 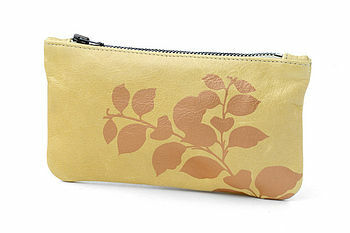 Milo & Saint has several other styles - the Chantry clutch bag; the Drayton bag which is similar to the Hardwick but slightly smaller and simpler in design, and the main compartment has a zip closure; and the Franklin tote which has a long shoulder strap, and a large zipped main compartment, for totin' around lots of stuff, elegantly. The bags can be bought directly from the Milo & Saint website.